Yes, this is a while post dedicated to water bottle and no, I haven't lost the plot because this is the water bottle to end all water bottles. I am terrible when it comes to staying hydrated, I'm just not a particularly thirsty person - there's been times when I've done full days without drinking water. I've always worked in offices that have had water tanks in and when I've been on a health kick I've tried to make a conscious effort to drink a certain amount of cups per day. This usually resulted in me getting ahead of myself and downing too many cups of water in one sitting. 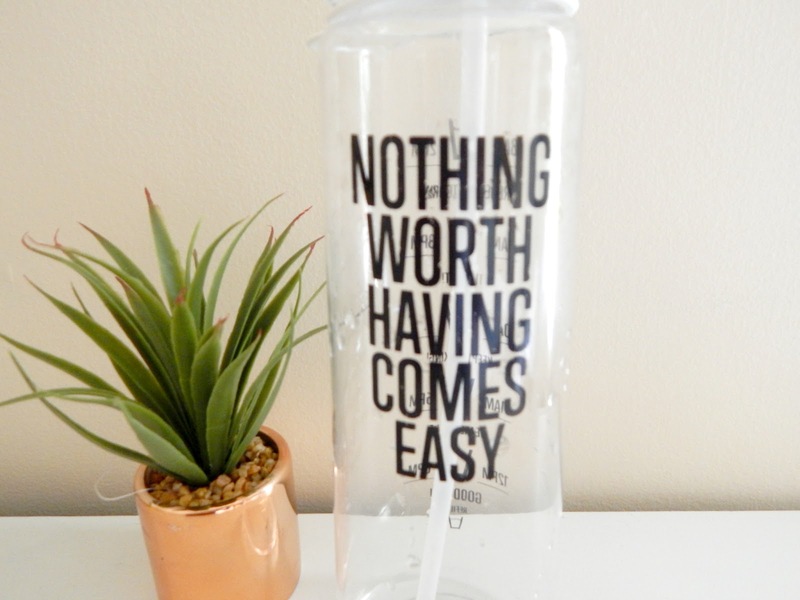 This is where the HydrateM8 Motivational Water Bottle comes into play; I spotted it on twitter and immediately wanted one. 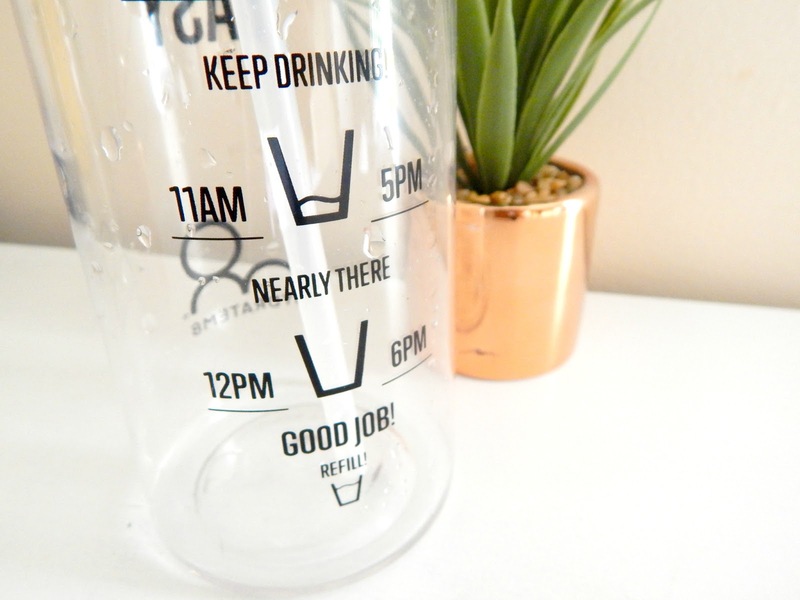 The 900ml bottle comes with handy markings to let you know what times you should have drunk certain amounts of water by and little cute prompts to keep you going. This is said to ensure gradual levels of hydration that help avoid any potential health issues that are associated with consuming water too little, too quickly or too much. Something that I have struggled with when trying to monitor my own water intake. 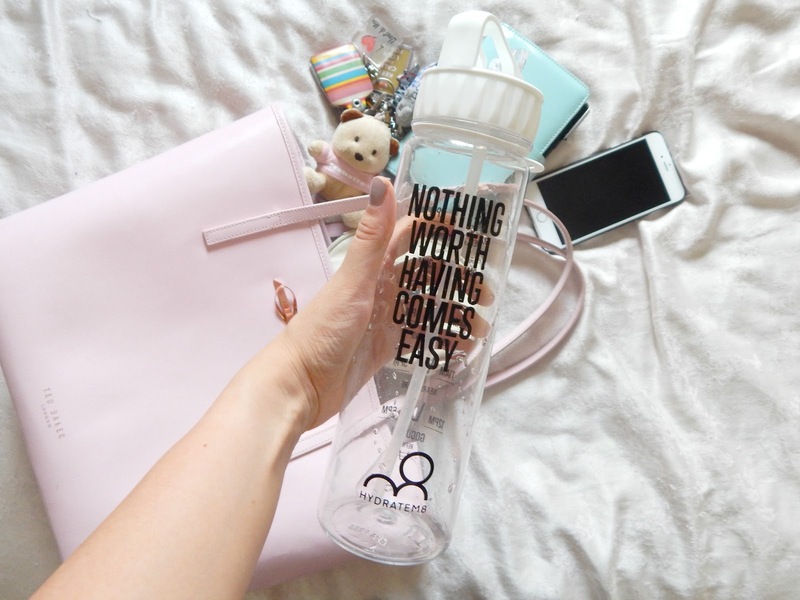 The other side of the bottle features a quote to add extra motivation, I chose "Nothing worth having comes easy" from the variety of quotes available, there a seven colours to choose from, naturally I chose white because I am so blogger. HydrateM8 also stock water infusers as well as kid's size bottles also all in a variety colours. I am genuinely surprised at how well this bottle works in helping me increase my water intake. I take my bottle to work with me and timing prompts correlate perfectly with my working hours meaning that by the tame I get home I'm onto my last compulsory drink. They also ensure that I'm not downing drinks too quickly and having to run to the loo which, has been a previous problem. Although the bottle is quite big, it fits perfectly in my handbag and is only at it's heaviest on the way to work when I've only drunk up to the 9am marking - if it feels a little too heavy in my bag, I don't mind carrying it because well...it's pretty. 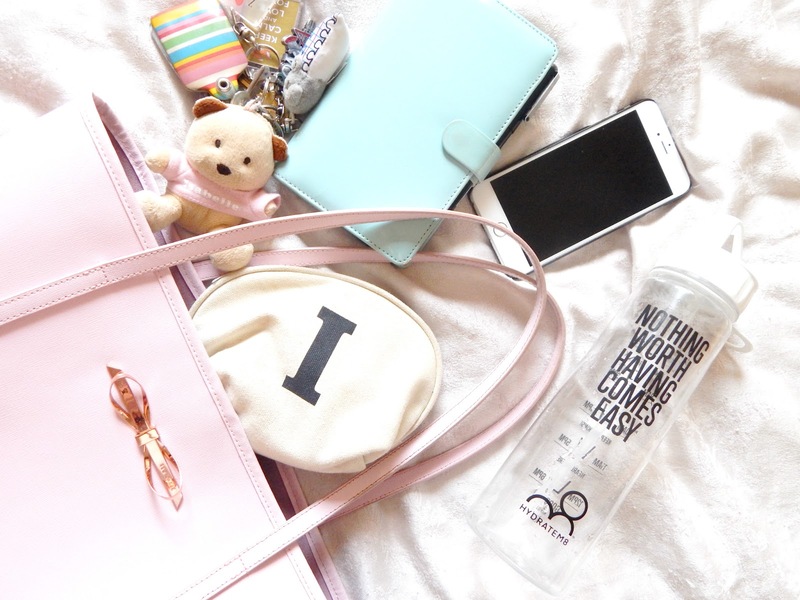 As well as having a totally instagrammable water bottle - what a time to be alive by the way! Three days in to consuming two litres of water a day (2x 900ml of the HydrateM8 and whatever I drink in the evening) I've noticed a few changes in my body; my skin is much more moisturised and a lot less greasy. I've also noticed that my stomach is less bloated - consuming the right amount of water is the best way to rid the body of water retention. 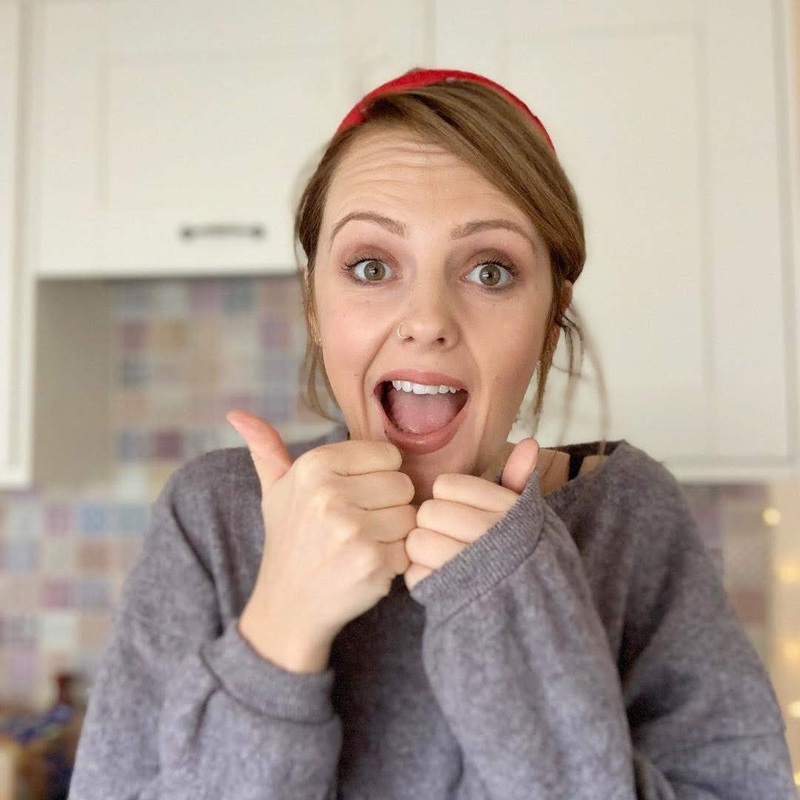 I'm less hungry during the day, I tend to only eat a small lunch - usually soup and a Babybel (because cheese is life) eating heavier meals make me bloated and sluggish all afternoon which does't result in a much productivity at work. Consuming water at the times indicated by the HydrateM8 have made me feel consistently alert throughout the day, avoiding the afternoon 3pm hump and not needing that cup of coffee. At the gym on Wednesday evening I was less tired and able to workout for longer than usual - again I'm putting this down to my hydration levels being improved. If you're looking for something to motivate you to drink more water (and in life in general with those quotes) I would highly recommend a HydrateM8. Each water bottle costs £13.99 with a slightly hefty £4.50 shipping fee. However, they use DPD for deliveries which are a pretty good courier service; delivering on time and within the timescales provided, you also get notified of the driver's name, star sign, favourite food and a little picture of them - unfortunately you can't swipe your driver away if you don't like them but this kinda justifies the fee.